Review: ASUS Eee Top ET1602: a glimpse of computers to come? Introduction - what is a nettop? 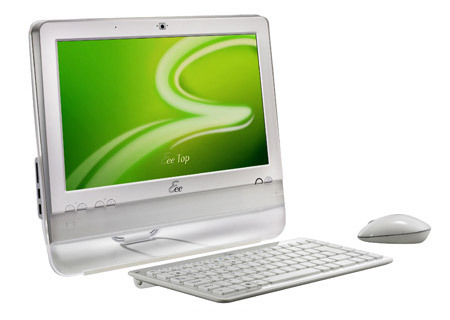 Over the past year, we've all become accustomed to the burgeoning netbook market and we know all about increasingly popular low-cost portable systems such as the ASUS Eee PC and MSI Wind. Nettops, on the other hand, are yet to hit the mainstream and the term itself is yet to become ingrained in many consumers' vocabulary. Defining the term simply, a nettop is to the desktop what a netbook is to the notebook. In other words, a compact, low-cost, low-power alternative or addition to the traditional desktop PC. Armed with budget hardware such as Intel's Atom processor, a nettop serves basic computing needs such as e-mail access and web-browsing functionality. On paper, it seems a logical next step for the ever-popular low-cost entry-level trend, so why have nettops thus far failed to garner widespread interest? Hoping to find out, we're taking a closer look at ASUS' Eee Top ET1602 - one of the world's first all-in-one nettops. Are nettops ready for the prime time? Let's find out.